This year promises to be far hotter than most, with the world leaders of the Group of 20 big industrialised and emerging economies coming to town on July 7-8. Hamburg: A ten minute walk from Germany's heavily-guarded G20 summit venue in the port city of Hamburg lies the graffiti-covered centre of the leftwing protest movement vowing to disrupt it. "Capitalism will end anyway -- you decide when!" reads a banner atop the Rote Flora, a former vacant theatre that was occupied by squatters in 1989 in the midst of demonstrations and street battles. In most years since, especially on May 1 Labour Days, black-clad youths with hoodies and balaclavas have hurled rocks and fireworks at armoured riot police who have responded with batons, pepper spray and water cannon. But this year promises to be far hotter than most, with the world leaders of the Group of 20 big industrialised and emerging economies coming to town on July 7-8. 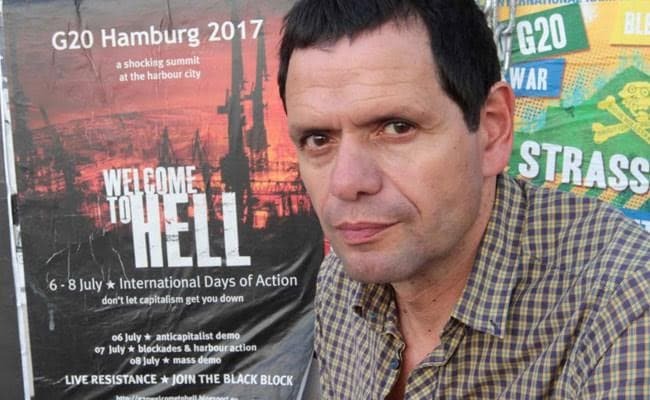 "Welcome to hell" is the eye-catching motto of one of the rallies seen as likely to escalate, organised for July 6 by veteran Rote Flora activist Andreas Blechschmidt.